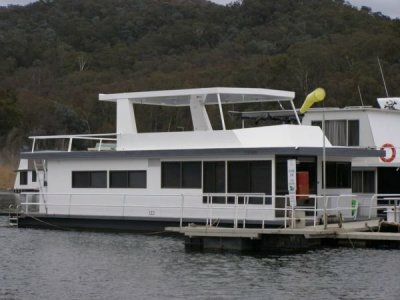 AU $119,500	Now reduced Need Finance? 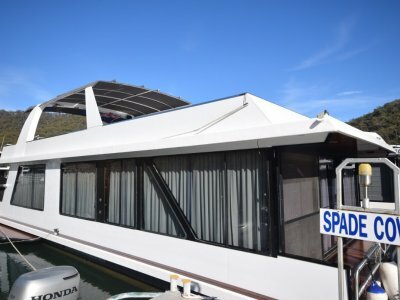 Lake Eildon Marina	Need Insurance? 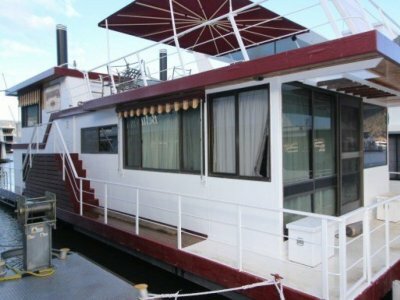 AU $119,500	Now reduced Need Finance? Need Insurance? 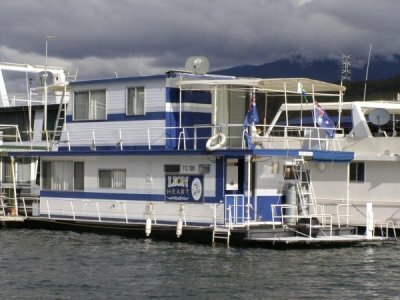 The owner is very keen to sell! 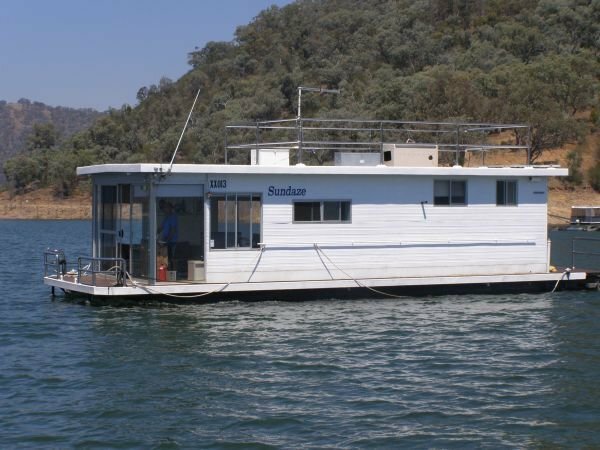 On this refurbished entry level houseboat you and your family could be enjoying beautiful Lake Eildon. She has just been slipped & works done to her pontoons & is also now gas compliant. Sundaze has an open bright fresh front lounge with entertainment and bar cabinet, plus a good kitchen. Call to inspect Sundaze today. BR1: Double bed; Overhead cupboards; wardrobe; TV. BR2: 2 x single beds bunk; sm TV; cupboard. Kitchen: Consul fridge / freezer; Microwave oven; 4 burner bench cooktop gas; Pantry; Servery; Strip heater. Bathroom: All new; shower; vanity.